Following are some items that were mentioned during the 11 April 2013 Fieldstone Common interview with Donald R. Friary about the book New England Captives Carried to Canada. 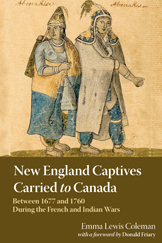 New England Captives Carried to Canada, published by the New England Historic Genealogical Society, is available for purchase from the New England Historic Genealogical Society online bookstore. Donald R. Friary wrote the foreward to New England Captives Carried to Canada. This is a re-release of the 1925 book by Emma Lewis Coleman. Donald Friary was the Executive Director of Historic Deerfield for 27 years. Deerfield is well known for being the site of a massive French and Indian raid in 1704 where 112 captives were forced to march to Quebec. Historic Deerfield is now a collection of historic house museums located in one of the most picturesque neighborhoods in New England. It is located about a half hour north of Springfield, Massachusetts. On the same street is the historic Deerfield Inn in case you decide to make a visit. 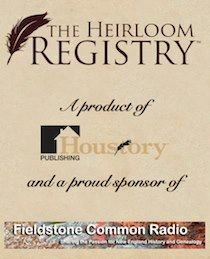 The New England Historic Genealogical Society, the publisher of New England Captives Carried to Canada, donated two copies of the book which were given as “door prizes” during the live show to listeners in Arizona and England. A big thank you to the New England Historic Genealogical Society for their generosity! 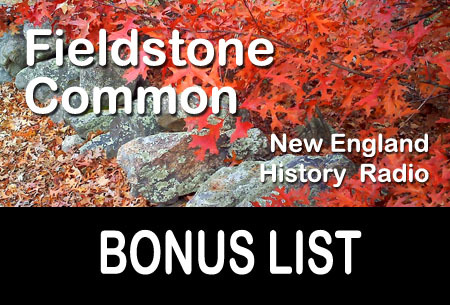 This week on Fieldstone Common, Marian Pierre-Louis interviews Donald R. Friary who wrote the forward for the new edition of New England Captives Carried to Canada. Originally published in two volumes in 1925, New England Captives Carried to Canada represents decades of research conducted by Coleman and C. Alice Baker (author of True Stories of New England Captives Carried to Canada, 1897). This work names all the captives the two women discovered, provides biographical data for each, and paints a detailed picture of the Indian attacks on New England communities over the eighty-year period. Includes sources, a comprehensive index, and an appendix with greater explanation of terms, key people, and places mentioned in the text. For nearly a century, this has been the go-to resource and the most definitive work ever published on the subject. 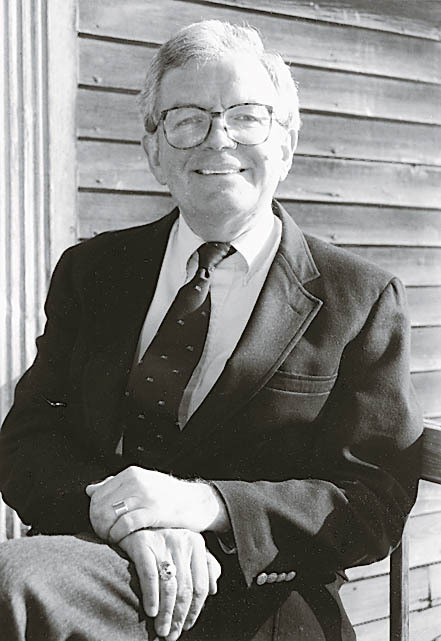 Donald R. Friary was Executive Director of Historic Deerfield in Deerfield, Massachusetts for 27 years. After his retirement in 2003 he became Historic Deerfield’s Senior Research Fellow. A native of Boston, and a graduate of the Boston Latin School and Brown University, he holds a Ph.D. in American Civilization from the University of Pennsylvania. He served as the museum’s first Director of Academic Programs from 1971 to 1973 and was named Assistant Director and then Executive Director in 1975. He has served on a number of Boards including the Bay State Historical League, the Dublin Seminar for New England Folklife, the Massachusetts Foundation for the Humanities, the Winterthur Museum’s Education Committee, and the Hill-Stead Museum.